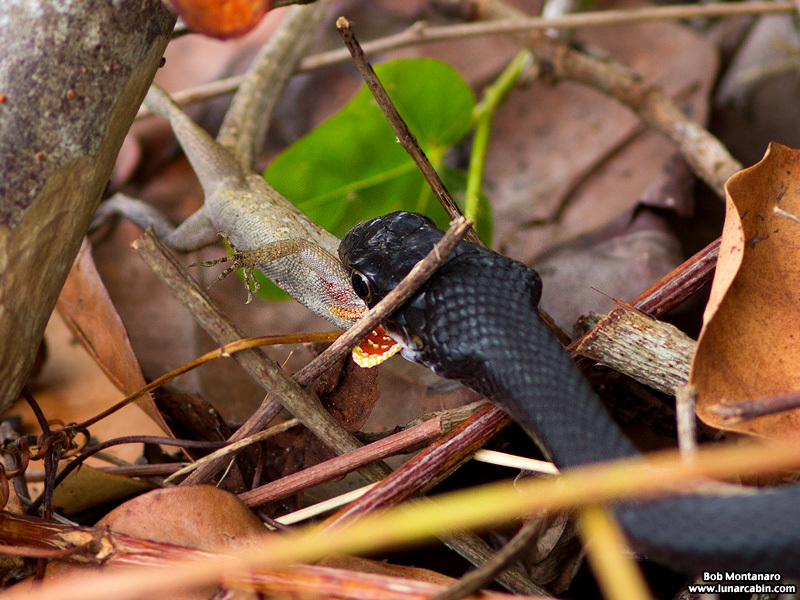 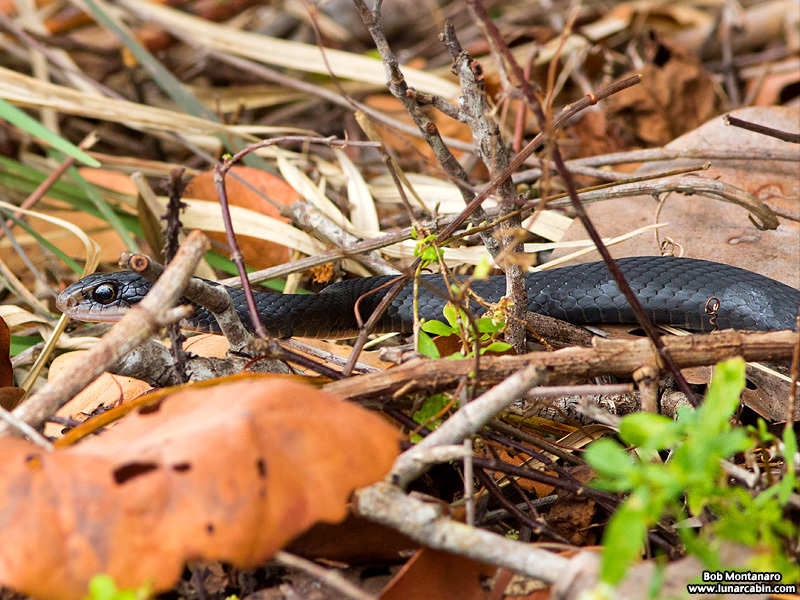 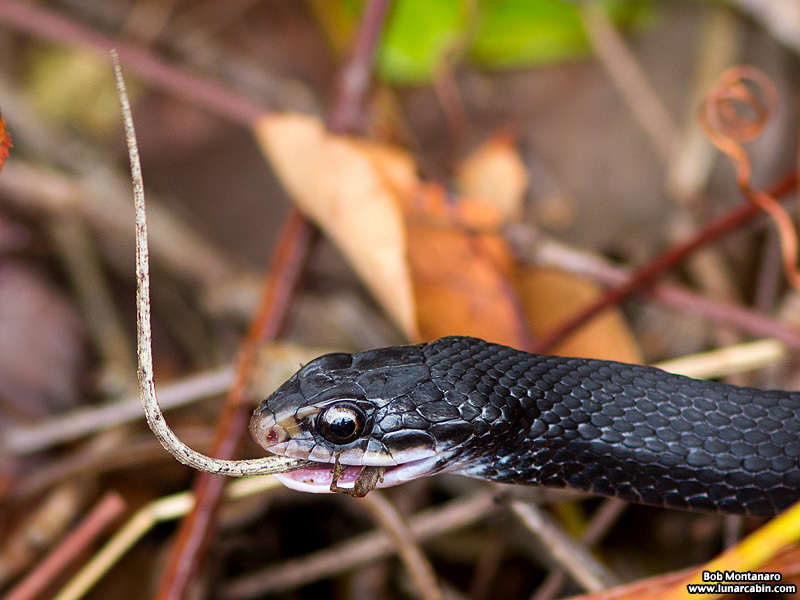 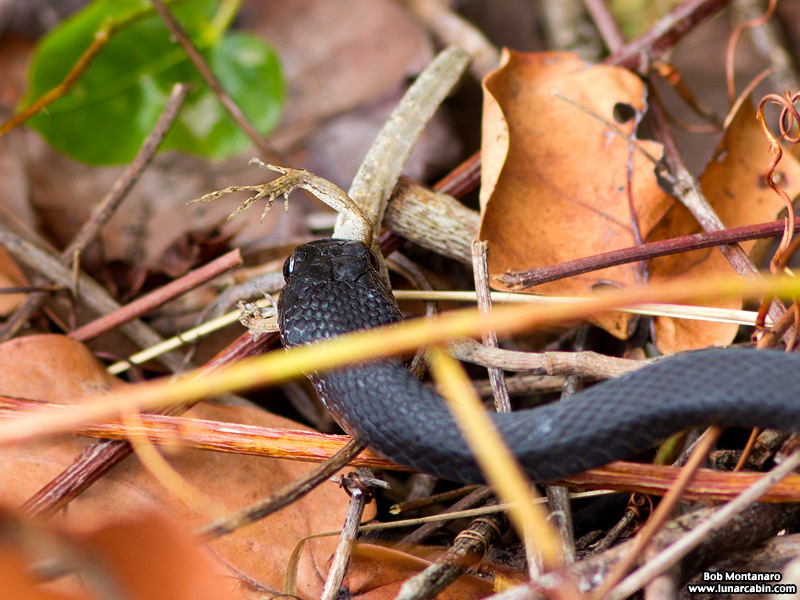 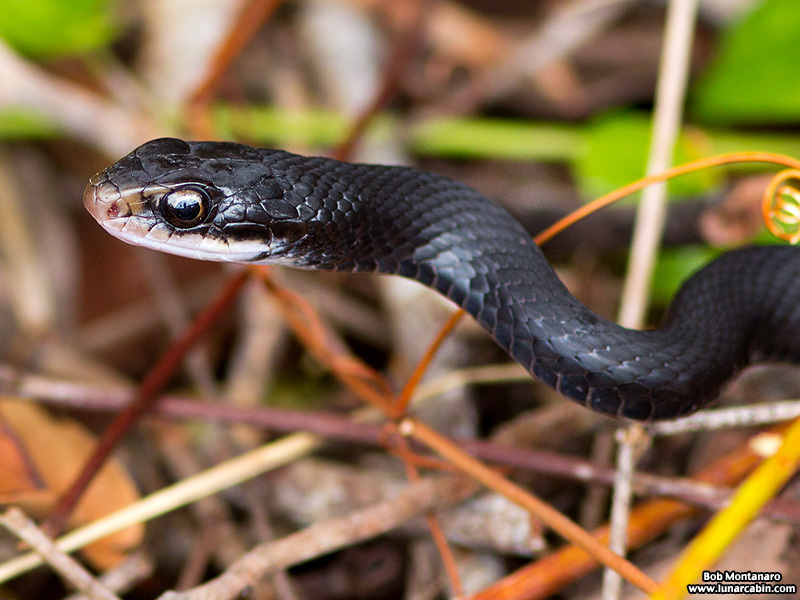 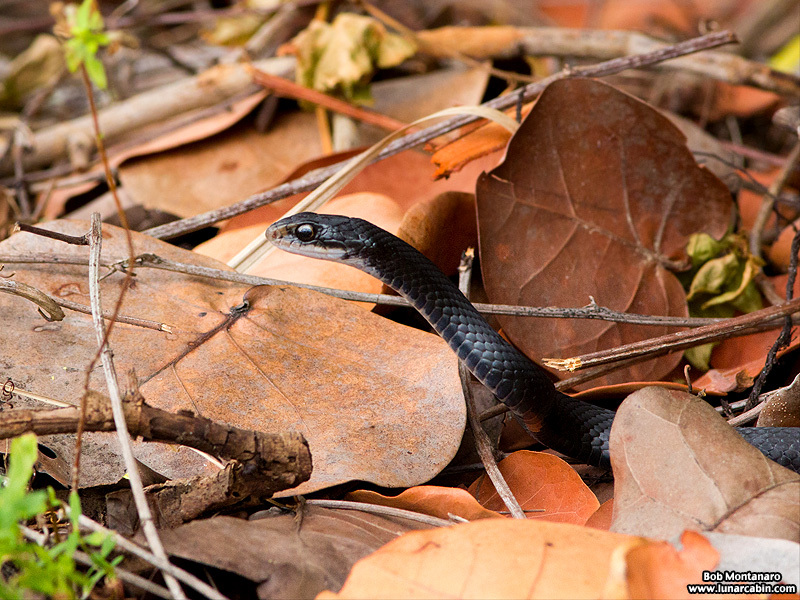 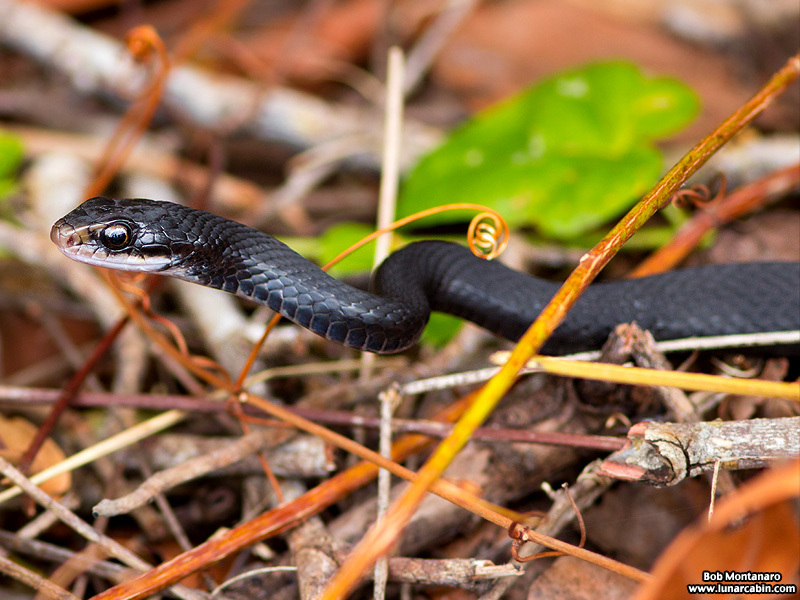 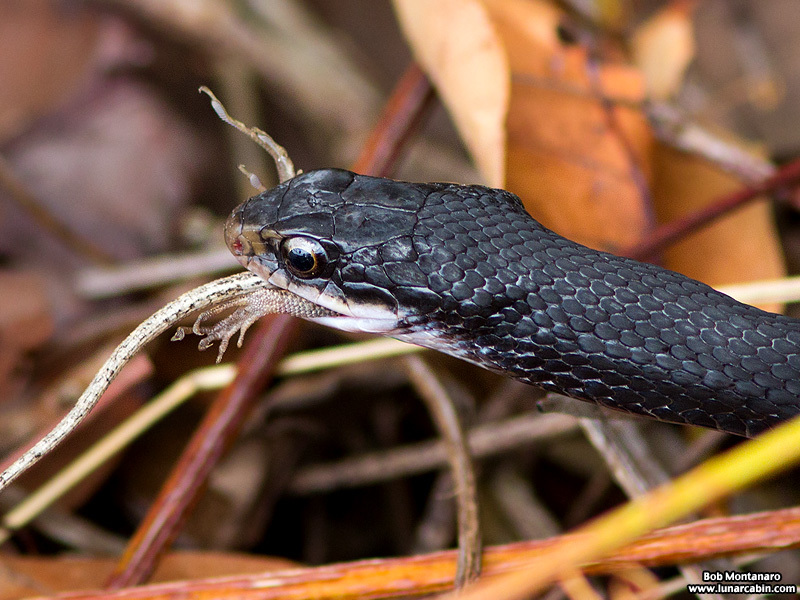 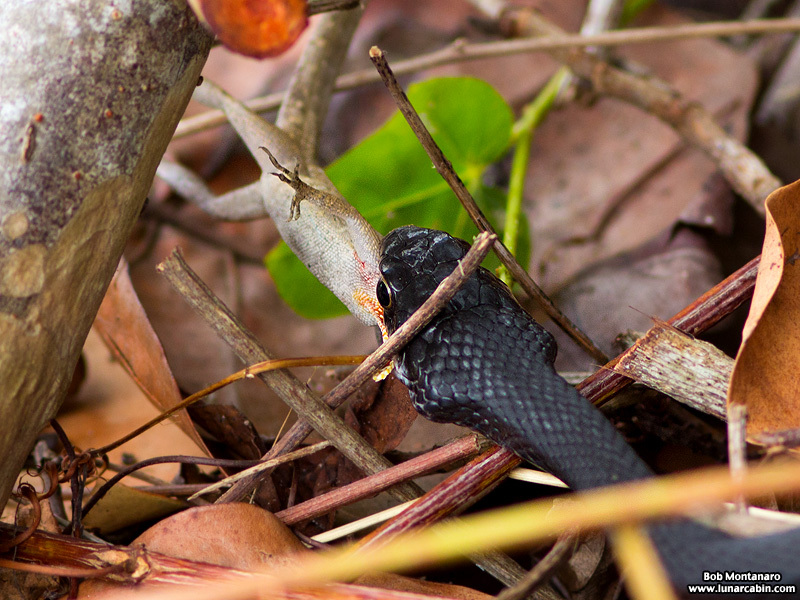 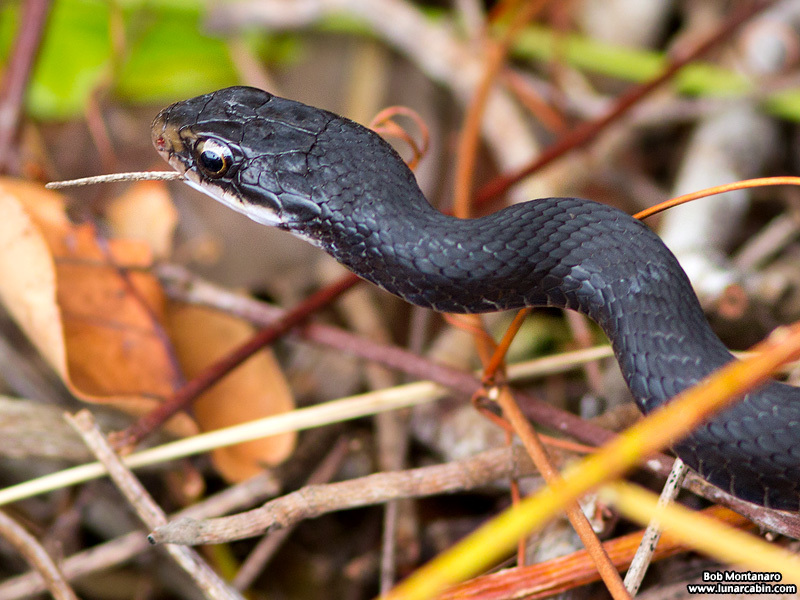 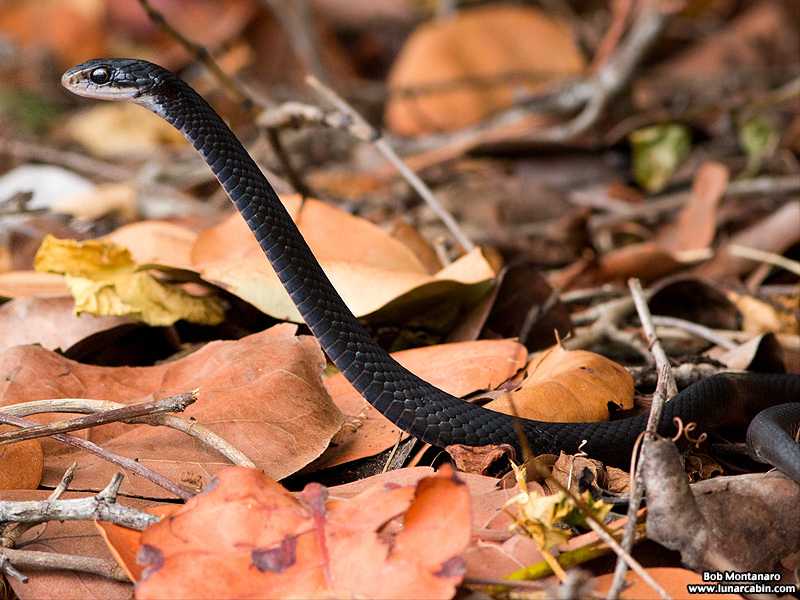 I came upon this Black Racer stalking prey through the sea grapes along a trail at Fort Pierce Inlet State Park. 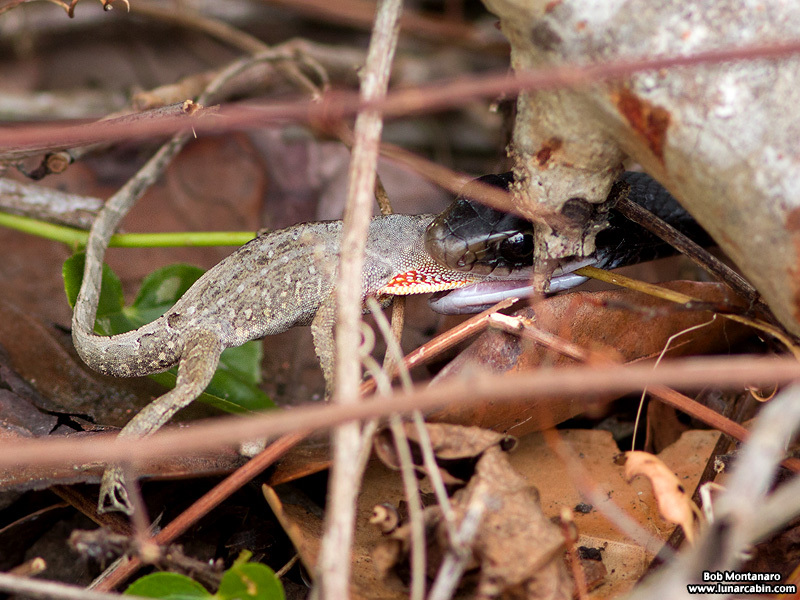 The Racer’s focus was not disturbed by my presence as its powerful jaws grabbed an unsuspecting Brown Anole and devoured it in the span of just a few minutes. 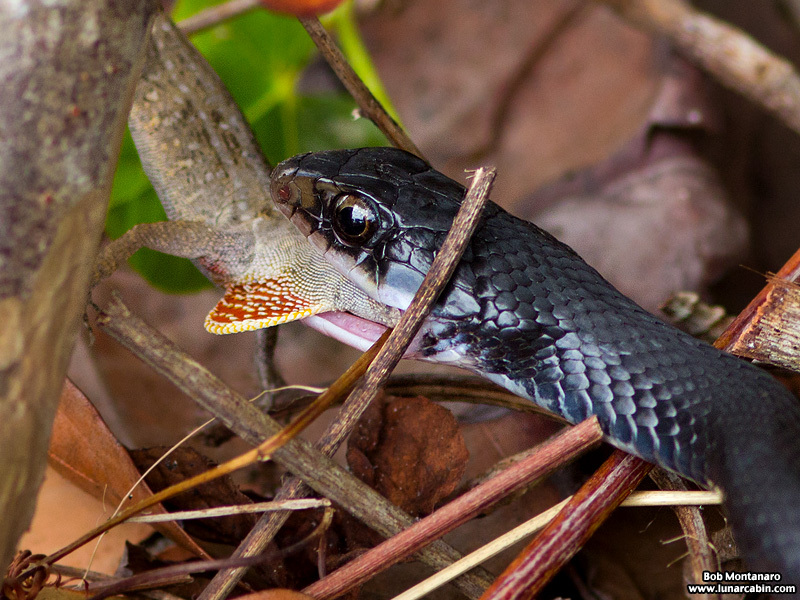 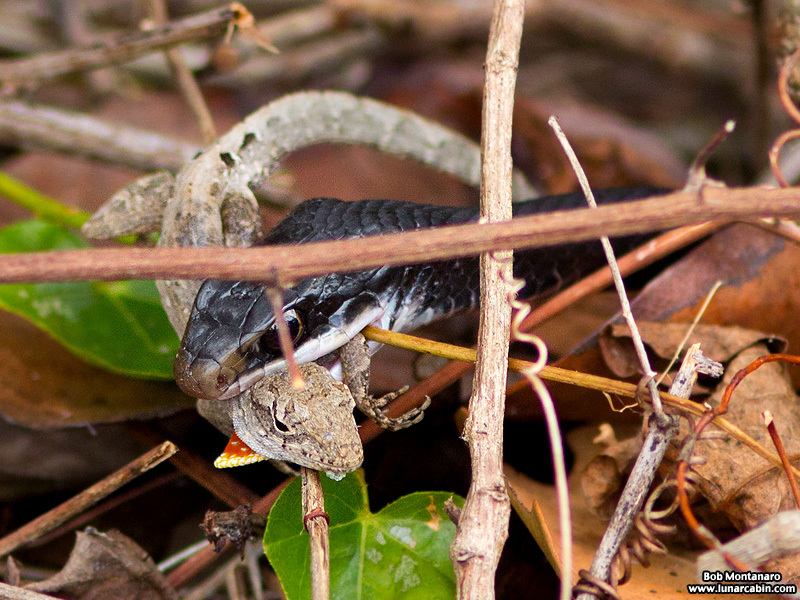 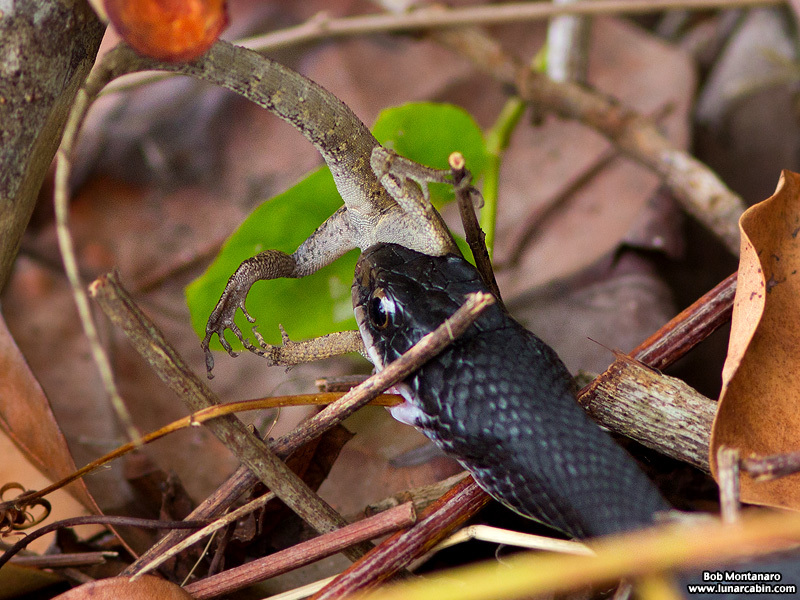 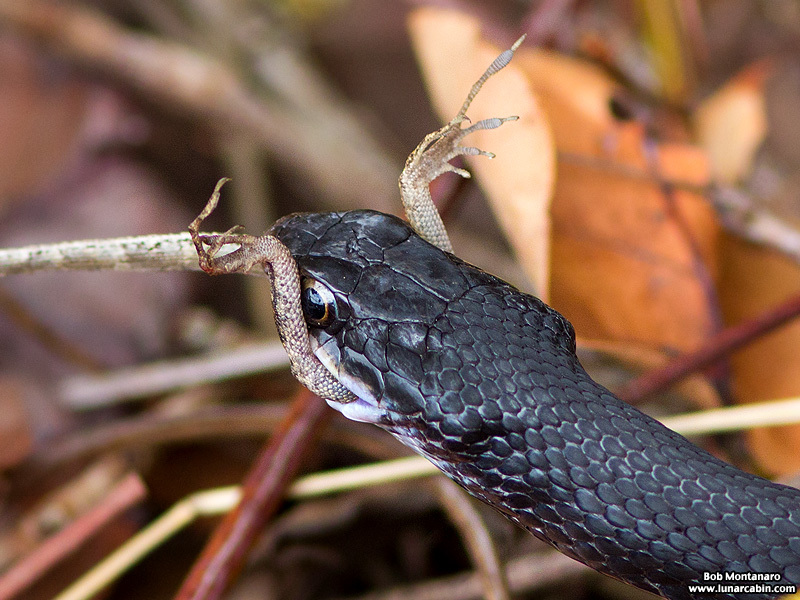 The Anole, which struggled to the very end, its tail whipping back and forth as it disappeared down the snake’s throat, was deftly maneuvered by the snake into a head first position to make it easier to swallow the lizard. 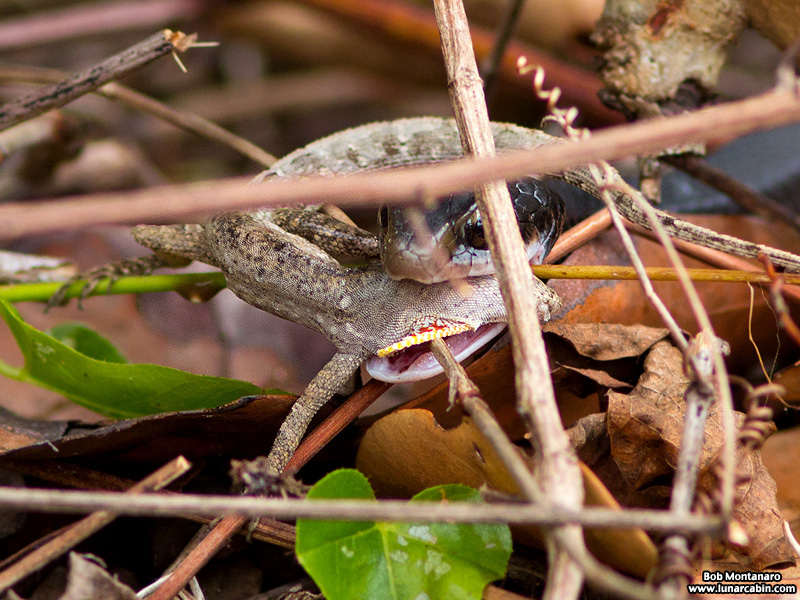 By comparing the last two images above, you can see the bulge of the Anole as the snake swallows it deeper into its body. 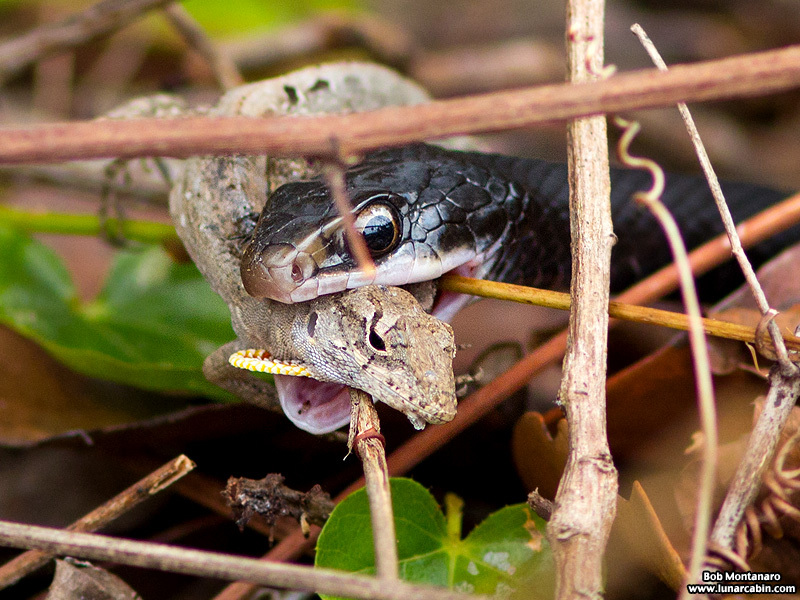 For K., who sees something similar to this in her home on a weekly basis.